Incandescent lamp, 230 VAC, 15 W, 680 mA, E14 High temperature halogen lamp for stoves and ovens 230 VAC, 15 W, E14. Incandescent lamp, 230VAC, 15W, 680mA, Z6901 Incandescent lamp with socket E 14, power 15 W and supply voltage 230 VAC. Incandescent microwave oven lamp MW-LAMP825 kei 4.8, 220-240 VAC, 20 W Incandescent microwave oven lamp MW-LAMP825 kei 4.8, 220-240 VAC, 20 W.
Incandescent microwave oven lamp, MW 20 W, T22, 230 VAC Incandescent microwave oven lamp, MW 20 W, T22, 230 VAC. Lamp for sewing machine 220V, 15W, BA15D Lamp for sewing machine with supply voltage 220V, 15W power consumption and socket BA15D. 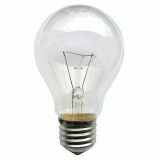 Incandescent lamp, 240 VAC, 25 W, E14, clear Incandescent lamp, 240 VAC, 25 W, E14, clear. List Price 0.99лв. VAT Incl. 0.95лв. VAT Incl. 0.89лв. VAT Incl. 0.84лв. VAT Incl. 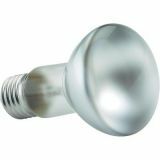 Incandescent lamp, 220 VAC, 40 W, E27 Incandescent lamp, 220 VAC, 40 W, E27. Incandescent Reflector Lamp, 230 VAC, E27, 40 W, coloured Incandescent lamp with reflector, 230 VAC, E27, 40 W, coloured. Incandescent lamp, 220 VAC, 25 W, E27 Simple lamp with 25 watts power, 240 VAC supply voltage and E27 sphere type socket. List Price 0.99лв. VAT Incl. 0.93лв. VAT Incl. 0.89лв. VAT Incl. 0.84лв. VAT Incl. 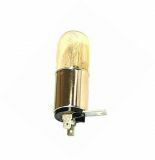 Incandescent lamp, 240 VAC, 60 W, E27 Incandescent lamp, 220 VAC, 60 W, E27. Incandescent lamp, 12 V, 60 W, E27 Filament lamp with 12 V supply voltage, 60 W power and E27 socket. List Price 1.30лв. VAT Incl. 1.24лв. VAT Incl. 1.17лв. VAT Incl. Incandescent lamp, 24VAC, E27, 60W Incandescent lamp with rated voltage 24 VAC, socket E27 and power 60 W.
List Price 1.80лв. VAT Incl. 1.70лв. VAT Incl. 1.62лв. VAT Incl. 1.52лв. VAT Incl. 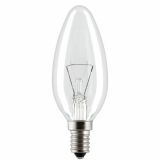 Incandescent lamp, 36 V, 60 W, Е27 Incandescent lamp, 36 V, 60 W, Е27. Incandescent Lamp, 42 V, 60 W, E27 Incandescent lamp, 42 V, 60 W, E27. Incandescent lamp, 230 V, 25 W, E27 Incandescent lamp, 230 V, 25 W, E27. Incandescent lamp, 40 W, 220 V, E27 Incandescent lamp, 40 W, 220 V, E27. Incandescent lamp, 220 V, 60 W, E27 Incandescent lamp, 220 V, 60 W, E27. 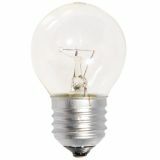 Incandescent lamp, Е27, 75 W, 220 VAC Incandescent lamp, Е27, 75 W, 220 VAC. Incandescent bulb or so caled filament lamp is a lamp that generates light from an incandescent wire heated to a high temperature of electric current that passes through it. The hot filament is protected from oxidation by the air with a balloon, which is vacuumed and filled with inert gas. 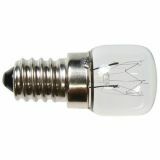 The bulb is provided with an electric current through leads or wires, embedded in the glass. Most bulbs are used in nest with the corresponding socket that provides an electrical connection. Incandescent bulbs are produced in a wide range of sizes, light and voltage - 1.5V up to about 300V. They require no external regulating equipment, have low manufacturing costs and work equally well in an alternating current(AC) and direct current(DC). As a result of these advantages, the incandescent lamp is widely used in household and commercial lighting, for portable lighting such as table lamps, car headlamps, flashlights, as well for decorative and advertising lighting solutions. Incandescent bulbs are less efficient than some more modern types of light bulbs because much of the energy used is converted into heat. But for some applications of the incandescent bulbs, the transferred heat generated by the wire-spiral is used deliberately. These applications include incubators, heating light for tanks of reptiles, infrared heating for industrial heating and drying processes and more. VIKIWAT wishes you a pleasant shopping !